We were delighted to welcome back former student Elisabeth Devey, (nee Jackson, 1999), earlier this week when she came in to talk to Mrs Horner about the fundraising work she has undertaken. 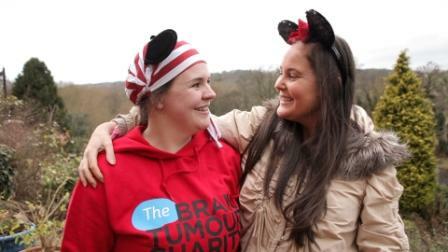 After her best friend from school, Natalie Wilson, (1999), was diagnosed with an incurable brain tumour, Elisabeth took it upon herself to begin raising both awareness and money for The Brain Tumour Charity. Brain tumours are the biggest cancer killer in people under the age of 40 and sadly, the charity only receives 2% of the total funding for Cancer Research each year. Elisabeth is aiming to raise a total of £10,000 for the charity in a number of fundraising events. 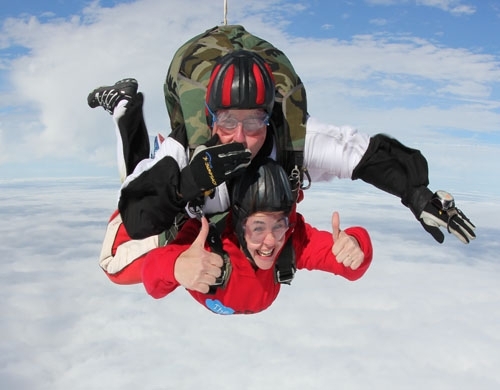 Since April, she has taken part in a 10k run and a sky dive. Later this month, she will be running the Birmingham half marathon and in November she is organising a charity ball at The Fishermans Retreat, Ramsbottom. Around 40 Old Westholmian’s are expected to attend, so we know it will be a great night! 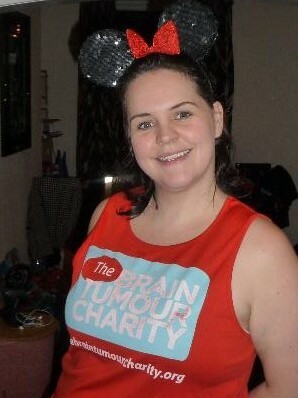 In January next year, Elisabeth will also be running the Florida Disney Marathon – a marathon around the famous parks of Disney World; quite apt to say that Elisabeth wears a set of Mickey Mouse ears for each of her fundraising events! What an amazing thing Elisabeth is doing – take the Westholme spirit with you and you will reach your goal!